Black Cat Prose is a blog dedicated to original short stories and essays about culture, politics, sports, religion, and everything in between. It is written by Kyle van der Laan, who teaches writing at Plymouth State University in New Hampshire and Lyndon State College in Vermont. 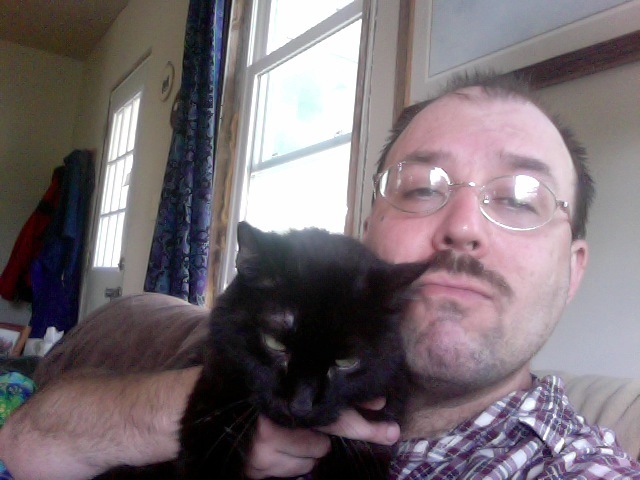 Kyle has an MFA in creative writing from Goddard College. He has published stories in Pilcrow & Dagger, Dialogual, and Short Fiction Break. This blog is dedicated in loving memory to beloved black cat Haiku.